Looking for private in-home or in-studio Japanese lessons? Our Boulder Creek teachers are ready to get you started. Find your teacher today! I am a native Japanese speaker from Tokyo. Currently, I am an instructor at the Greater Louisville Regional Japanese Saturday School, which provides courses entirely in Japanese. Whether you want to improve your reading or writing skills, or you are simply looking for a conversation partner, let me know! and New York. I was an recipient of the outstanding student presentation award at the CMS Great Lakes Regional Conference, 2014. My daughter is so excited to have more lessons! Hiromi is great. Very astute and patient. Very attentive and adaptive to my needs. So far it's great! Hiromi is an excellent teacher! Very good instruction and explanation! During my undergraduate studies, I worked as a president of SUNY Albany Japanese Student Association and also worked as a TA for Japanese 101 classes, and I absolutely love to teach languages! I understand it is often very hard to find a language tutor outside of the spoken community, and I hope to provide you with the opportunity to be exposed to authentic media sources to acquire natural fluency. Hope to hear from you soon! はじめまして & thank you for taking a moment to check out my profile! I'm originally from Tokyo Japan, and I moved to NY with my family during high school. I've completed Master's degrees in Language Education & Communication, and Bachelor's Degrees in Music Performance and Political Science. I enjoyed organizing and running language study groups in college, and experienced working as a Japanese TA for several semesters. I LOVE to teach in general, whether it's music or languages, and I personalize most of my teaching materials for individual student. Let me know what YOUR unique short/long-term goals are, along with interest topics, and we'll work it out! Thanks again, and I'm excited to hear from you! As a native Japanese speaker, who has spent the last 30 years in the United States, I understand the structural and grammatical differences in the two languages. This gives me both the teacher’s and the student’s perspectives, which I find valuable as a language instructor. I have taught Japanese to college students and adults, using beginning Japanese textbooks, and I am most comfortable teaching high school/college students and adults. I can also teach conversational Japanese and/or customize the lesson to meet each student’s particular goals and needs. Send me a message to find out if we are a good match! Born and raised in Japan, I moved to the United States in the 80's to pursue the goal of obtaining a library degree. Fast forward almost 30 years, I now live in Western New York, working in a local school district. In the past 30 years, I have worked as a librarian, an English instructor in Japan, and a school administrative assistant. 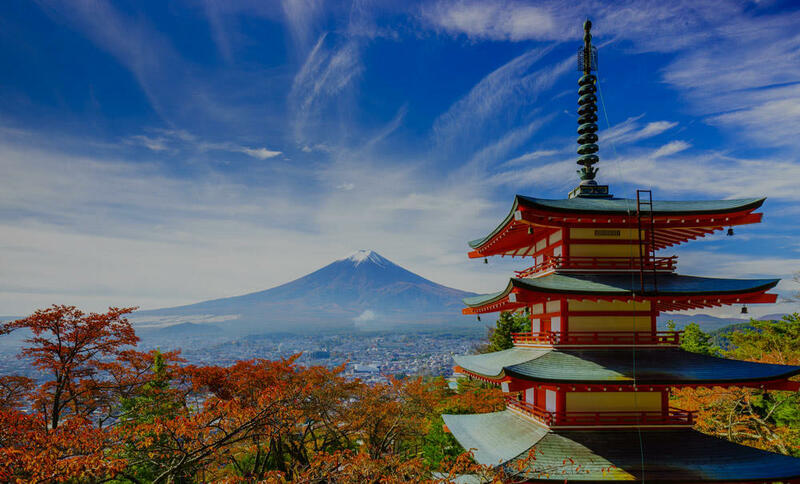 I have also taught Japanese to college students and adults in my free time, and when I become an empty nester this summer, would love to dedicate more time teaching the language and customs of my native country. I can help you with homework, conversational Japanese, and more - just contact me and we can find out if we are a good match! Rie sensei is simply the best language teacher I've ever had. Do yourself a favor and take lessons from her. Rie Is a great teacher! Very nice and patient, she’s always willing to answer any questions I have and let’s me know if I’m doing a good job and what I need to work on. I get along well with her and she’s easy to talk to, which is a plus. I always feel like I have trouble communicating with people so to meet a teacher who makes having conversations much easier is great! It helps me feel more confident in asking questions and speaking Japanese. Extremely clear, helpful, and offered plentiful positive reinforcement. Rie is certainly delightful. I was born and raised in Japan. Learning second language is sometimes frustrating. I will explain Japanese with cultural background so you can understand better. I have taught from 5 years old to college students. I can do both teaching and toutering. Any age is welcome!!! I was born and graduated college in Japan. After I worked there several years, I decided to come to the US to study more. As a piano teacher, I specialize for beginners. When you start playing, everybody realizes that your fingers don’t move as fast as you want to which is very normal. We are going to work on slowly in a fun way. I have taught from 3 years to 70 years old. Everyone can enjoy the piano anytime!!! As a Japanese teacher, I will explain Japanese with cultural backgrounds so you can understand better. I can do both teaching and tutoring. Your goal is my goal. I would love to tailor the lessons whatever you are looking for. Yuko is very kind and patient. She is also very knowledgeable and explains everything in such a great way my 13 year old enjoyed her class very much. My son really loved Yuko who replaced his previous teacher who is no longer with Takelessons. He knows how to play some kids songs already. But after their lesson, there is this an instant motivation to learn deeper. He is now having learning with Yuko. Just had my first lesson today and had so much fun! I can't wait to take more lessons! Yuko is very nice and I'm glad I have her as a teacher. こんにちは！ I'm a native speaker if Japanese. I've been tutoring Japanese for 10+ years in Japan and the U.S. I love talking about cultures, traveling, hobby, etc. I'd love to hear what your goals are and customize my lessons. :) Let's get started! My name is Kyoko. I am a native speaker of Japanese, born and raised in Japan. (As you might guess, my name came from the beautiful city of Kyoto.) When I was in college in Osaka, Japan, I started helping a lot of exchange students with their Japanese. Since then, teaching Japanese has been my passion. I enjoy explaining the grammar until my students fully understand it. I moved to the U.S. In 2005. Currently I'm raising three bilingual children.